Two Time Scout series novels in one volume! When terrorists gun down Jenna Caddrick's fiancee, the only daughter of Senator John Caddrick is trapped in a desperate struggle to stay alive. With a pack of killers on her trail, Jenna plunges through Shangri-La Station's time touring gates-and lands in London of 1888, just in time to meet Jack the Ripper. And Skeeter Jackson, newly reformed con artist, finds himself caught up in the biggest mystery of the century. All Skeeter has to do is find the Senator's missing daughter, track down lanira Cassandra's kidnappers, stop a cult of killers and survive Ripping Time. 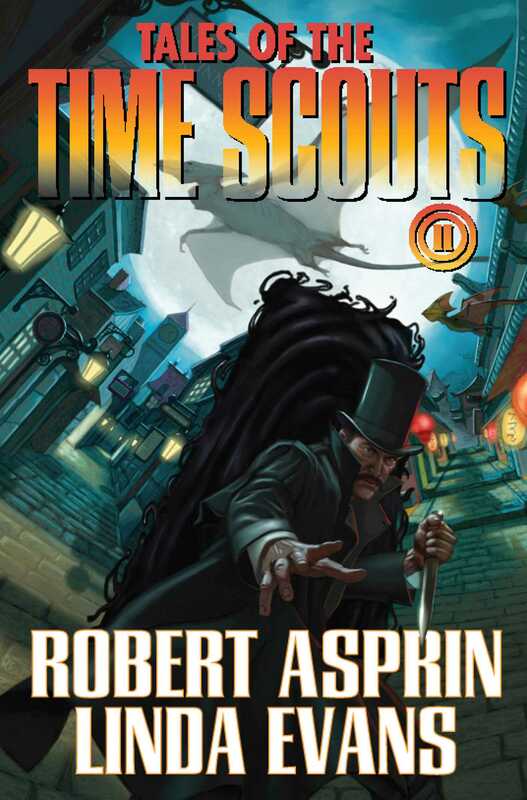 Jack the Ripper's killing spree spreads from Victorian London to Time Terminal Eighty-Six in this breath stopping sequel to Ripping Time, retired time scout Kit Carson and ex-con man Skeeter Jackson enter an unholy alliance that surprises everyone—including Skeeter and Kit. All they have to do is track down Senator Caddrick's missing heiress, lost somewhere in history, rescue Ianira Cassandra from the clutches of a madman, and keep the most famous time-touring station in the world open for business while avoiding death in The House that Jack (the Ripper) Built.